"Delightfully Delicious" Custom Gourmet Grinder Blends are perfect for seasoning just about all of your savory culinary creations. They will transform your everyday creations into something...delightfully delicious ;) They are packaged in a 100 ml / 3.38 oz glass jar with a durable acrylic black grinder top that is also refillable and has a convenient cap for storage and freshness. I have wrapped them in a cellophane bag with a description card, tied with a black and white baker's twine bow. They are perfect for anyone who loves fresh spices, sea salt and flavor. There are three different and unique blends to choose from. 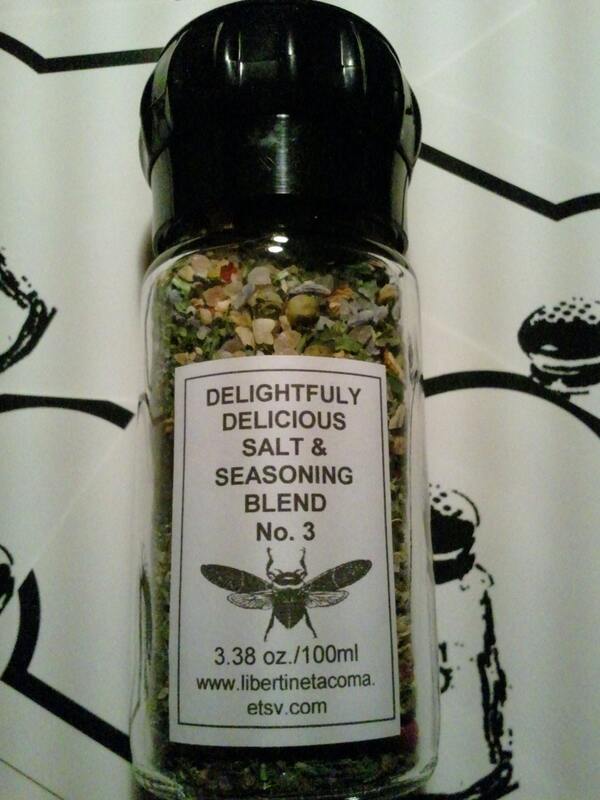 "Delightfully Delicious Salt & Seasoning Blend No. 1"
This is a most delicious savory blend of minced garlic, lemon peel, dill, African black peppercorn and Atlantic sea salt. They are bold flavors blended with mild complimentary salt perfect for an all around seasoning blend. It is equally delectable for meat as it is for vegetables. Grind it fresh when you need it. 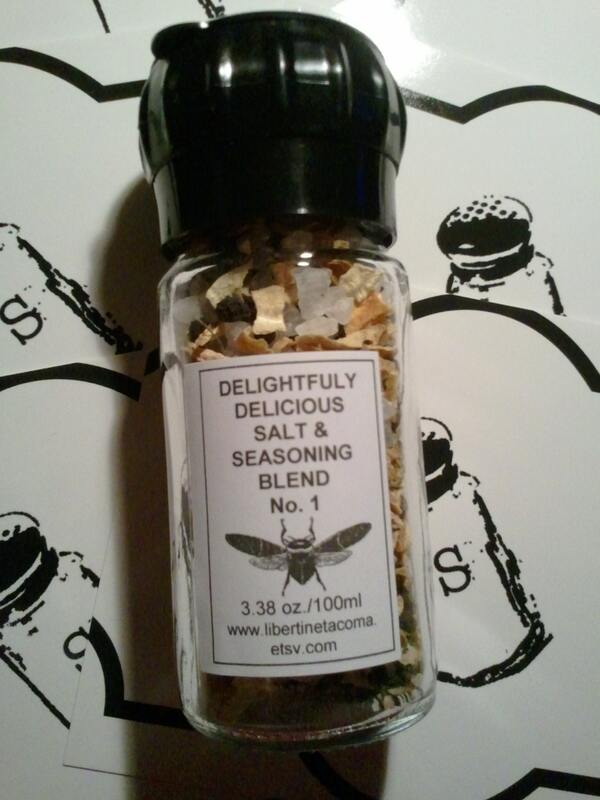 "Delightfully Delicious Salt & Seasoning Blend No. 2"
This is a most delicious savory blend of minced garlic, minced onion, smoked black pepper, juniper berry, rosemary, Himalayan Pink Salt and Atlantic Sea Salt. 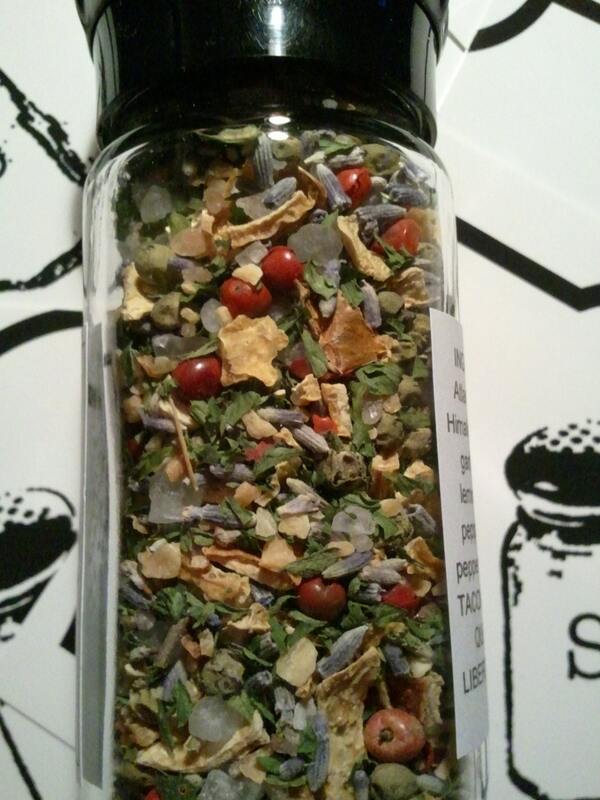 They are bold flavors blended with mild complimentary salts perfect for an all around seasoning blend. It is equally delectable for meat as it is for vegetables. Grind it fresh when you need it. This is a most delicious savory blend of Atlantic Sea Salt, Himalayan Pink Salt, minced garlic, lavender, lemon peel, green peppercorns, pink peppercorns, parsley. They are complimentary flavors blended with mild complimentary salts perfect for an all around seasoning blend with unique deliciousness. It is equally delectable for meat as it is for vegetables and cream sauces. Grind it fresh when you need it. "Delightfully Delicious Grilling Grinder Blend"
This is a most delicious savory blend of minced garlic, rosemary, smoked black peppercorns, and Himalayan Pink Salt. They are bold flavors blended with mild complimentary salt perfect for an all around seasoning blend great for anything and especially anything on the grill. It is equally delectable for meat as it is for vegetables. Grind it fresh when you need it. 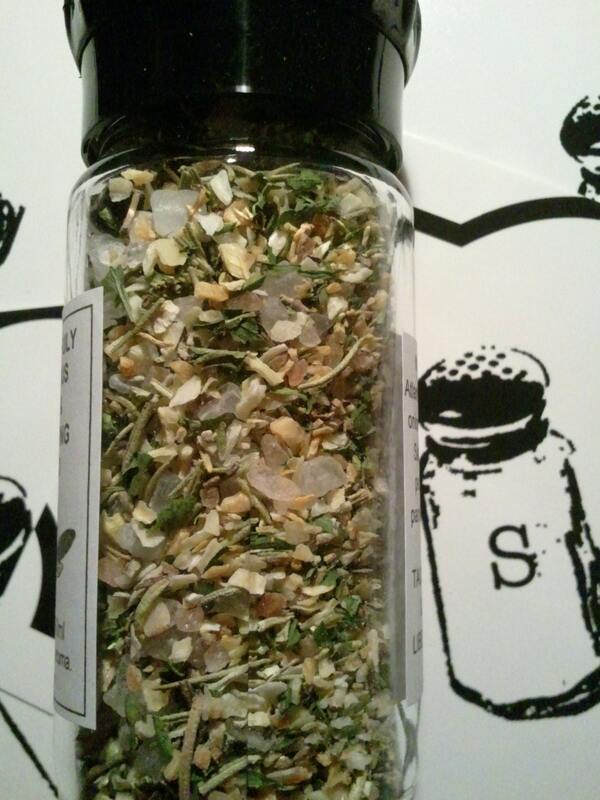 "Lemon Peel & Black Peppercorns"
This is a simple and flavorful salt-free blend perfect for adding a citrus and pepper punch to your favorite dishes.